Garden City Beach is just south of Surfside Beach and ends on a peninsula at the mouth of Murrells Inlet. 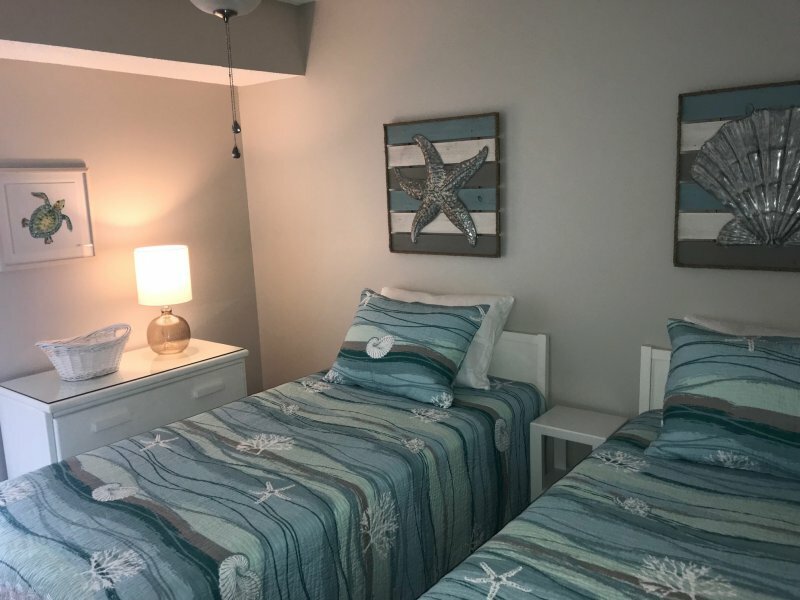 You will be conveniently located close to the most popular attractions such as the Pier at Garden City, Marlin Quay Marina, Gulf Stream Café, Original Sam's Corner Newly Renovated 3 Bedroom 2 Bathroom end unit Condo, private balcony with ocean view, Sleeps 6, fully equipped kitchen. 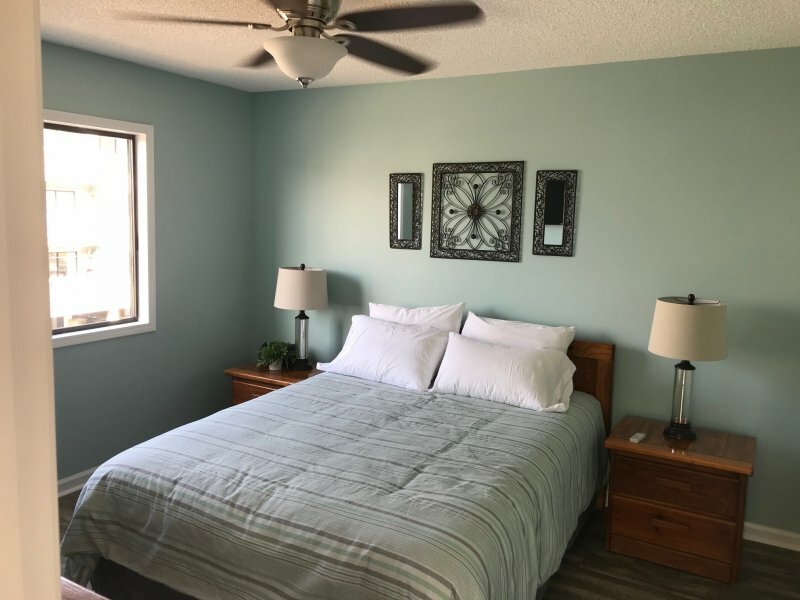 All the comforts of home including 2 Flat-screen TV’s with Roku (Cable / Wi-Fi), washer dryer, air conditioning , central heat, and ceiling fans, for the ultimate in fun and relaxation for your family and friends. 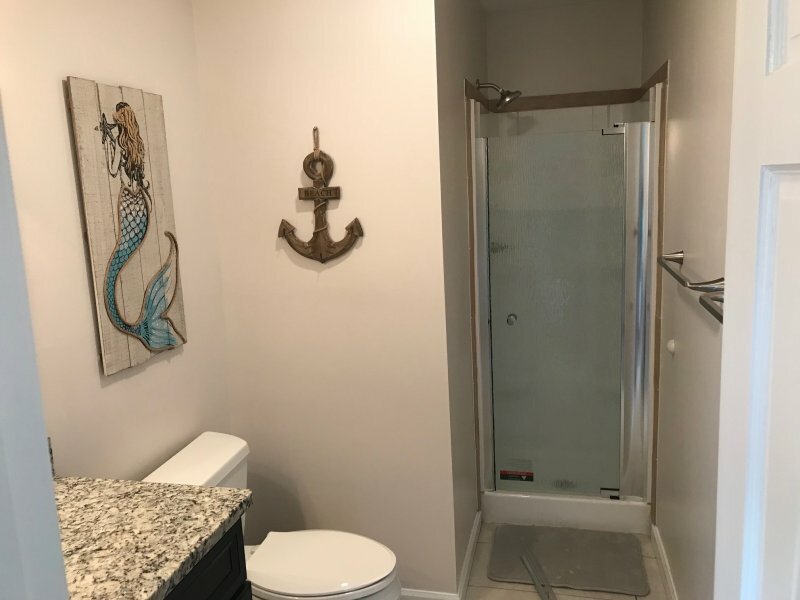 This unit includes a private parking pass and the common area includes a beautiful swimming pool, outdoor shower and professionally landscaped grounds. Directly south of Garden City Beach lies the seaside community of Murrell's Inlet which is considered to be the "Seafood Capital of South Carolina" and is also home to some of the nation's best golf courses. What was once primarily a fishing village, it is best known for the Murrells Inlet Marsh Walk, a half mile boardwalk overlooking an unspoiled salt marsh. You will find many award-winning seafood and barbecue restaurants along Highway 17 Business in the central business district. Whatever you desire, whatever you need, the south strand offers a little something on everyone's to-do list! 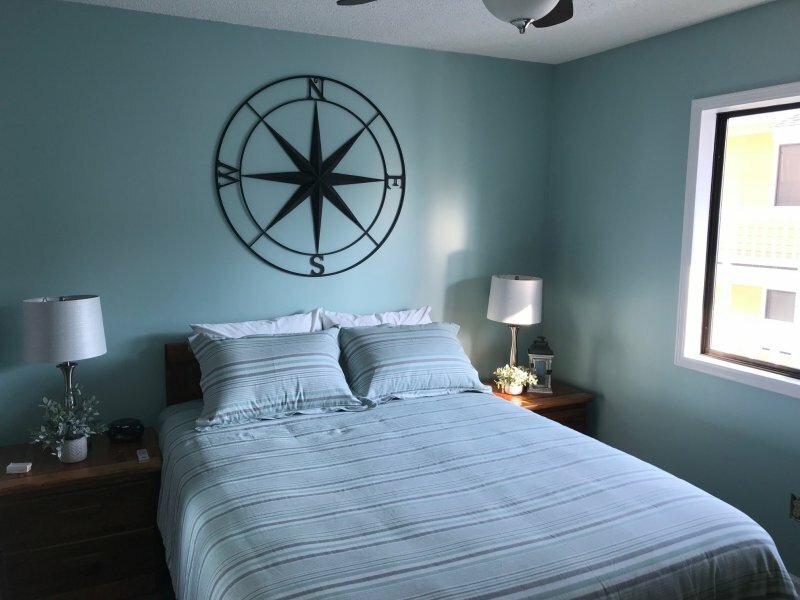 There are a variety of restaurants, retail stores, miniature golf, entertainment venues, charter fishing, water sports and of course nothing but relaxation at the beach. 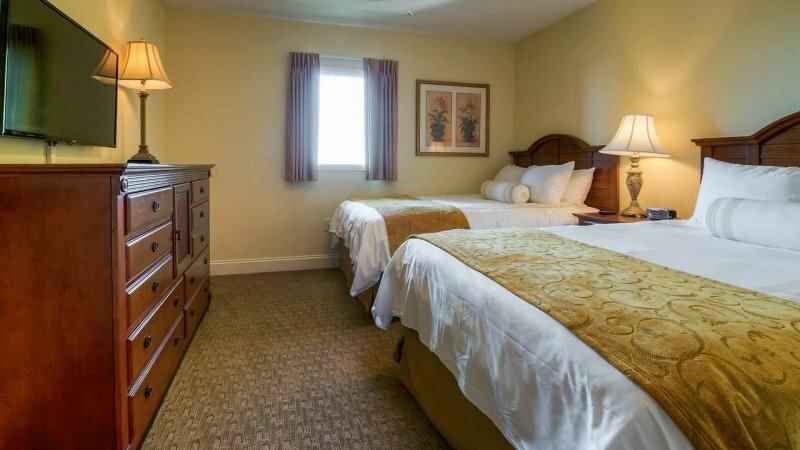 You will enjoy a family feel at the beach, away from all the hustle and bustle of the heart of Myrtle Beach shore line hotels. Enjoy the following amenities while vacationing in Sandy Shores: private swimming pool, private parking and outdoor storage, outdoor shower to wash off the sand, a short walk to the Atlantic Ocean, free wi-fi and best of all a newly renovated unit! Description Garden City Beach is just south of Surfside Beach and ends on a peninsula at the mouth of Murrells Inlet. 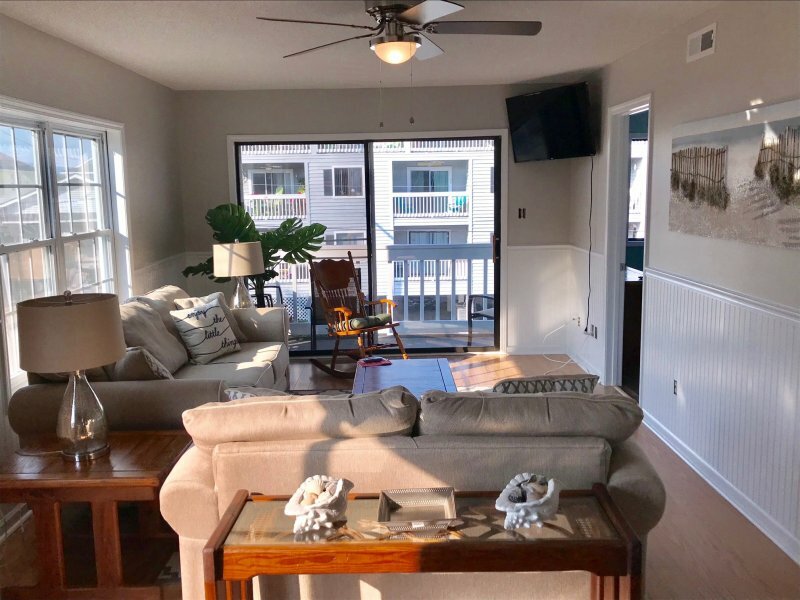 You will be conveniently located close to the most popular attractions such as the Pier at Garden City, Marlin Quay Marina, Gulf Stream Café, Original Sam's Corner Newly Renovated 3 Bedroom 2 Bathroom end unit Condo, private balcony with ocean view, Sleeps 6, fully equipped kitchen. 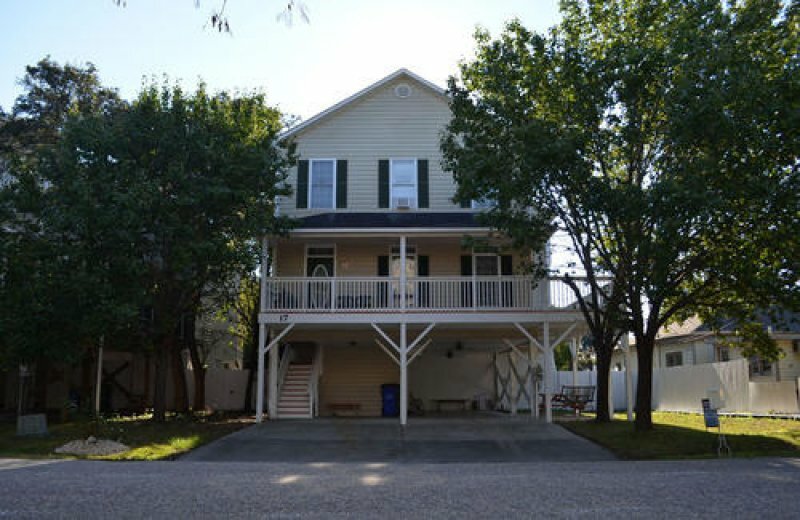 All the comforts of home including 2 Flat-screen TV’s with Roku (Cable / Wi-Fi), washer dryer, air conditioning , central heat, and ceiling fans, for the ultimate in fun and relaxation for your family and friends. 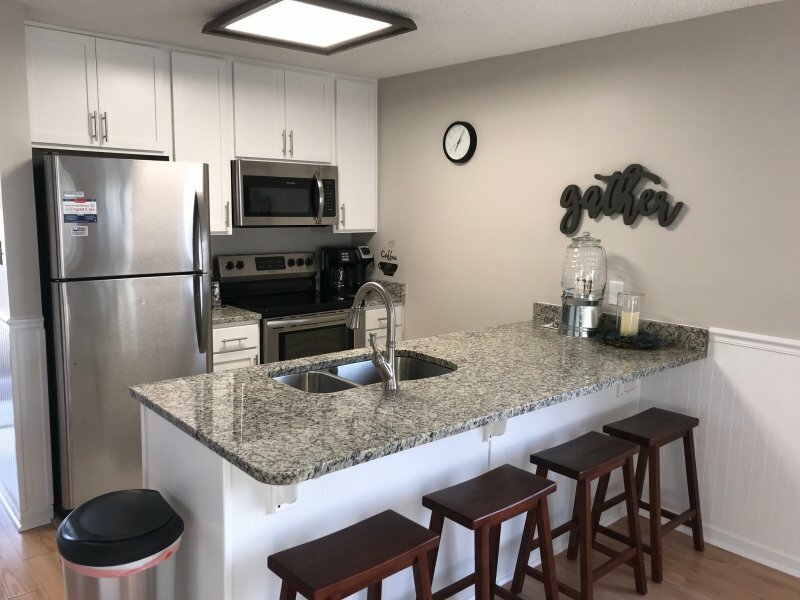 This unit includes a private parking pass and the common area includes a beautiful swimming pool, outdoor shower and professionally landscaped grounds. Directly south of Garden City Beach lies the seaside community of Murrell's Inlet which is considered to be the "Seafood Capital of South Carolina" and is also home to some of the nation's best golf courses. What was once primarily a fishing village, it is best known for the Murrells Inlet Marsh Walk, a half mile boardwalk overlooking an unspoiled salt marsh. You will find many award-winning seafood and barbecue restaurants along Highway 17 Business in the central business district. Whatever you desire, whatever you need, the south strand offers a little something on everyone's to-do list! 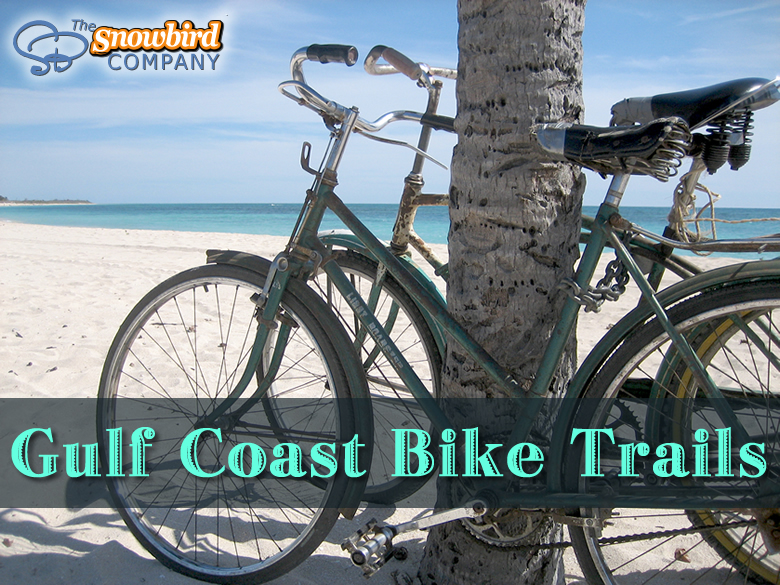 There are a variety of restaurants, retail stores, miniature golf, entertainment venues, charter fishing, water sports and of course nothing but relaxation at the beach. 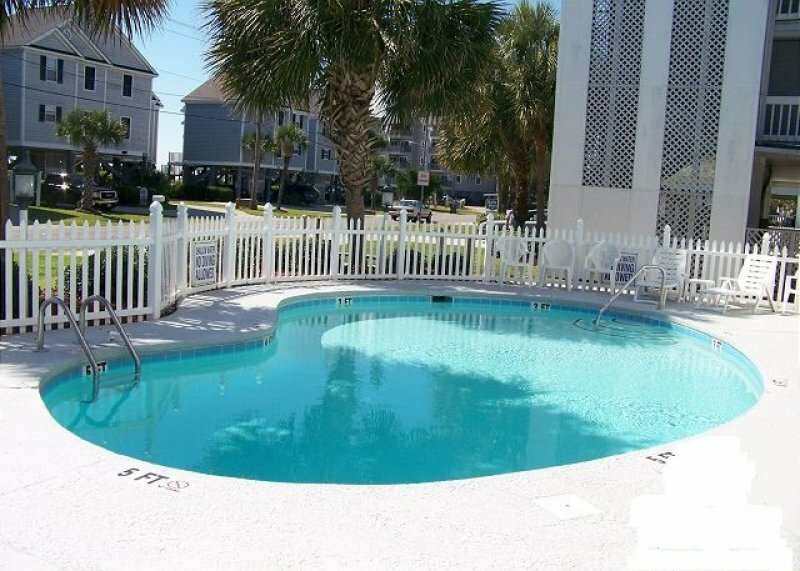 You will enjoy a family feel at the beach, away from all the hustle and bustle of the heart of Myrtle Beach shore line hotels. Enjoy the following amenities while vacationing in Sandy Shores: private swimming pool, private parking and outdoor storage, outdoor shower to wash off the sand, a short walk to the Atlantic Ocean, free wi-fi and best of all a newly renovated unit! 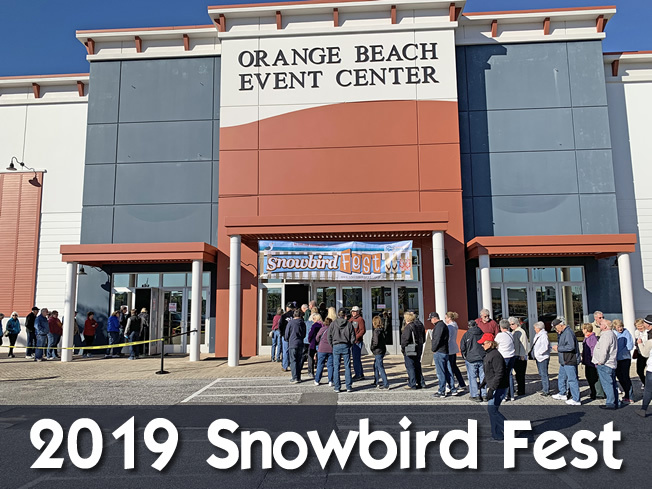 If you're looking for places to shop, Inlet Square Mall, The Market Common, Coastal Grand, Myrtle Beach Mall, Broadway at the Beach, Barefoot Landing, two Tanger shopping outlets, countless strip-malls, and many more shopping facilities are all within an easy drive from Garden City Beach. 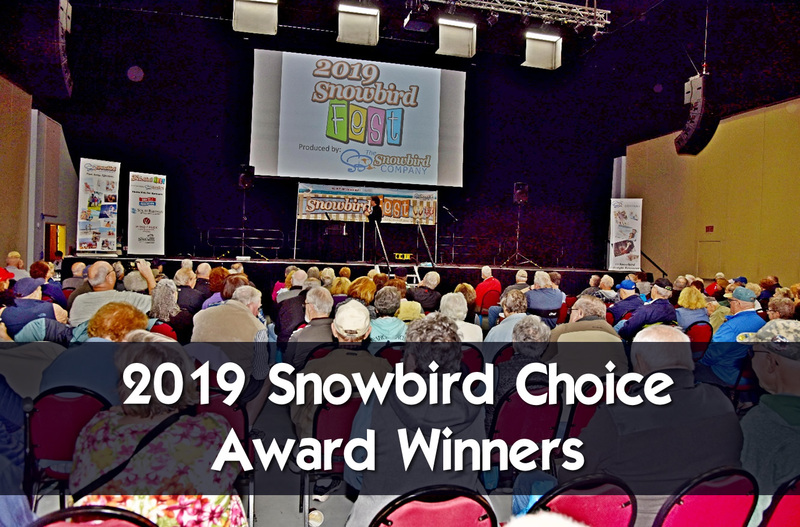 Looking for some entertainment, take in a show at Alabama Theater, Medieval Times, The Carolina Opry, Pirates Voyage, and Legends in Concert. And don't forget about Ripley's Aquarium, Alligator Adventure, Hard Rock Cafe, Jimmy Buffett's Margaritaville, and The Pavilion Nostalgia Park. Brookgreen Gardens, a sculpture garden and wildlife preserve built on four former rice plantations, is located slightly south of Murrells Inlet. It features several themed gardens with American figurative sculptures placed in them, trails through several nature reserve ecosystems and the Lowcountry Zoo. Other points of interest close by include the waterfront community of Georgetown, the third oldest city in South Carolina and second largest seaport in South Carolina, and historic Conway with its downtown Riverwalk area nestled on the banks of the Waccamaw River. Both towns include fine dining, shopping, and historic sites. Surfside Beach, Garden City Beach and Murrells Inlet are all close to Waccamaw Hospital and several urgent care facilities. 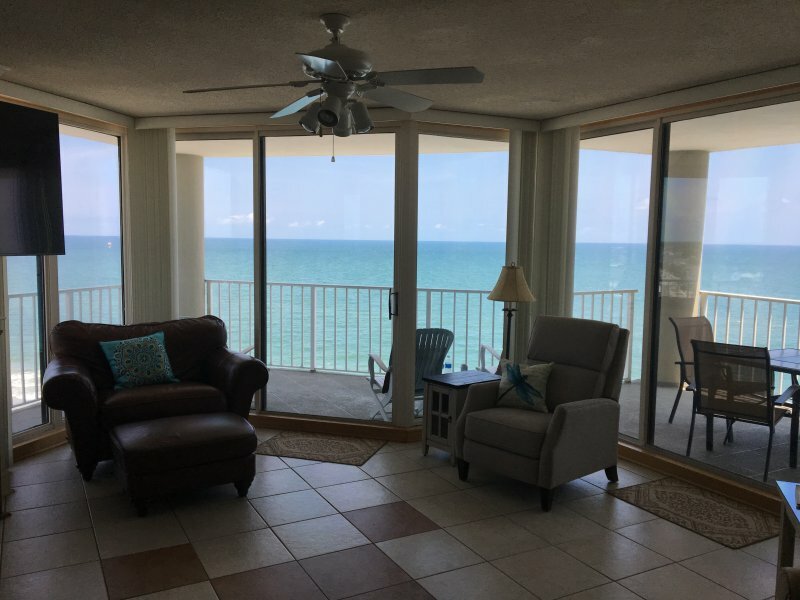 From your private end unit balcony you have views of the ocean while enjoying your morning coffee!